Cycle Project – The circular economy concept is a response to the aspiration for sustainable growth in the context of the growing pressure of production and consumption on the world’s resources and environment. The circular economy concept is a response to the aspiration for sustainable growth in the context of the growing pressure of production and consumption on the world’s resources and environment. The greening of the European economy, as outlined in the EU 2020 strategy, will have profound effects on the labour market and the development of the skills of the European population. Making the transition to a circular economy requires a pressing need for new skills, competences and approaches. Education, initial and continuous vocational training and non vocational adult learning (or “lifelong learning”) have a critical role to play in delivering and updating relevant skills. CYCLE project aims to develop competences for circular economy of NVATs in order to facilitate the transversal integration of these competences in adult education, contributing to the development and expansion of their professional and educational skills which are necessary, and which need to be addressed alongside the environmental demands and the sustainability targets for 2020 in the field of Circular Economy. The project has been financed within the framework of ERASMUS+ programme, Strategic partnership in the field of adult education (Ref. 2017-1-ES01-KA204-038470) and will be implemented from October 2017 to September 2019. Social Creativity Lab is a non-profit organization located in Spain that works for the promotion of social innovation. DRAMBLYS combines sociological imagination & inquiry with social creativity and design to approach, explore, and innovate solutions to emerging social problems in order to strengthen local capacity and foster social innovation and creativity. DRAMBLYS designs and implements a range of initiatives and project, based on social research, participatory and experiential methodologies, for the promotion of social growth and competitiveness. ACR+, Association of Cities and Regions for sustainable Resource management (based in Brussels, Belgium), is an international network of cities and regions sharing the aim of promoting a sustainable resource management and accelerating the transition to a circular economy on their territories and beyond. ACR+ is a multi-stakeholder network gathering around 90 members across the EU Member States and South-East Mediterranean Region, mainly local and regional authorities as well as national networks of local authorities, NGOs and research centres. Through its activities, ACR+ strives to develop the expertise and skills of public authorities in effective waste-product-resource policies, as well as encourage practical action. 3s research laboratory is one of the leading VET research organisations in Austria. 3srl is experienced in the design of projects in the fields of knowledge, learning and work, and in the development of methods, tools and instruments for anticipating and assessing qualifications and competences. PIN s.c.r.l. Educational and Scientific Services for the University of Florence, is a non-profit organization funded in 1992. PIN hosts, among others, the research centre ARCO. With almost 10 years of experience in local development, social economy, M&E and impact evaluation and sustainable food commodities, ARCO offers research, consulting and training services. The team is composed of economists, statisticians, political scientists, and commodity scientists. ARCO operates at both the national and the international level and embraces a multi-disciplinary approach. 36,6 Competence Centre (based in Lodz, POLAND) is an umbrella institution gathering professionals from many fields establishing interdisciplinary Experts Zone for the local development through international experience exchange. 36,6 CC provides non-formal education along with guidance and counselling support to numerous target groups (disadvantaged adults & seniors, lone parents, migrants, VET students and teachers, SMEs, unemployed, basic skills trainers, primary & secondary schools, parents, managers & employees of various industries and manufacturing sectors (eg. road transport, chemical industry), disabled, teachers of foreign languages). 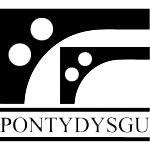 Pontydsygu is an SME Research and Development organisation based in Pontypridd in Wales. Our work embraces the use of technology for learning and sharing knowledge, the training of teachers and trainers and the new skills and competencies required in the changing world of work. We also develop learning materials and courses and tools and spaces for online learning and for supporting the emergence of Communities of Practice. During the project development the project partnership will develop and build CYCLE Competence Centre addressed for adult trainers to learn about competences for the circular economy. It will be an online environment based on a social learning methodology that will provide the adult trainers with a specific social learning area that support training, knowledge sharing and networking, easily adaptable and updated to new challenges and opportunities, and sustainable in time and resources. Focused on competences for the circular economy, it aspires to be a European meeting and working point for adult trainers to improve their competences and their capacity to train. As defined by Ellen MacArthur Foundation, as the name suggests, a ‘circular economy’ is a feedback-rich approach, (often described as ‘circularity’) with its subject matter the choices we make around resources – the economy. It rests in contradistinction to a linear economy. A circular economy uses insights into real world systems which are complex, adaptive systems. These systems are open to modelling and influence where we emphasise participation, connections and understanding consequences rather than the identification of parts and their manipulation. A maturing circular economy will face three big challenges, as Walter Stahel (architect and industrial analys) frames it. The challenge of ‘Re-‘ that is the challenge to perfect re-using, re-manufacturing, re-designing and all the other ‘re-‘ actions that need to occur to keep resources at their highest value for the longest possible time. Secondly follows the challenge of ‘De’, when products can no longer be re-cycled in a value-adding way: ‘de-constructing’, ‘disassembling’, ‘de-taching’. The third challenge comes with a capital K – Knowledge. Education about the circular economy framework and the crucial knowledge for it, such as technical and economic understanding, as well as ‘materials-literacy’, needs to permeate every level of society, not just c-suites and experts. As stressed and highlighted during the discussion taken at the “Circular Economy Stakeholder Conference” (9-10 March, 2017) in Brussels, every worker, consumer and so, adult should be equipped with such knowledge, thus, education stands as one of the building blogs of a circular economy, including awareness raising in general public and business community and integration of circular concepts at all levels of education, starting from the lifelong learning approach. Thus, CYCLE projects stands for a shift to the circular economy by supporting integration of circular economy into adult education curriculum and outreach programs to increase awareness in the general public and so, contributing to the construction of knowledge society based on human capital development. The project has been financed within the framework of ERASMUS+ programme, Strategic partnership in the field of adult education, ref. 2017-1-ES01-KA204-038470.